Product #60728 | SKU XK-281-USB-BU | 0.0 (no ratings yet) Thanks for your rating! Easy to assemble and integrate. Standard 19" (48.26cm) rack cabinet dimensions. 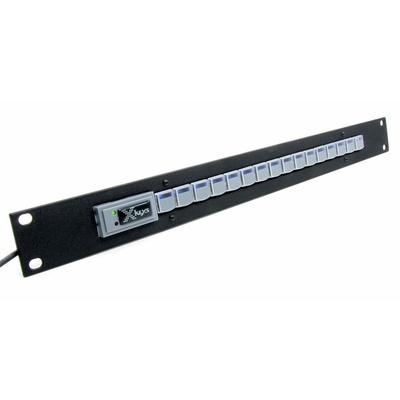 The X-Keys XK-16 Stick and Rack Mount Kit Bundle allows you to bundle your X-keys XK-16 Stick with a mounting kit. It is the perfect way to integrate the ease and reliability of X-keys into your equipment set-up. Laser cut from high-quality powder coated steel, the rugged design will blend with your other rack-mounted equipment seamlessly.